Internet was not originally designed as a way of communication or entertainment for people across the world but this is the essence of what it is today. You can find what is happening in a distant country instantly by watching their local news or make friends with a person that lives miles away from you. There are many possibilities and websites to visit but unfortunately not everyone can enjoy freedom to enjoy internet as they wish. In China, the government has implemented a strict control over internet and some of the most popular websites, those that many of us cannot live without, are blocked for Chinese residents. 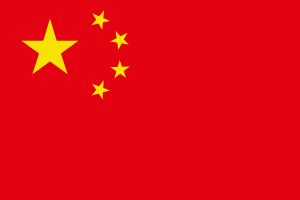 Twitter, Facebook, YouTube are some of the websites that millions of users around the globe visit every day but they have been blacklisted in China, meaning that they cannot be accessed there. It is not just limited to websites, as many services including messaging apps have been blocked as well. Nowadays, the Great Wall of China does not only refer to the magnificent series of fortifications that are considered as one of the wonders of the world. It is also used to describe the censorship that the Chinese government has imposed over internet, a movement that continues to grow in effort. Although the control is strict, people in China are not doomed to put up with a limited access to internet. In order to regain the freedom to access all the content available online, Chinese residents can opt for a VPN service. It is important to keep in mind that not every VPN service will work well in China. The websites of some of the most popular options have been blocked. Although these providers can still offer a solution for Chinese residents, it is difficult to set up a subscription when you cannot even access the site. Furthermore, internet service providers there can disable VPN protocols, specially PPTP. L2TP is less vulnerable to disconnections but your connection can still be affected if you are using this protocol. Therefore it is important to make sure that your provider supports OpenVPN and SSTP as they are the most stable options and less likely to be disconnected. We selected the best VPN services that you can use in China to get access to all your favourite websites and enjoy a secure online browsing experience. 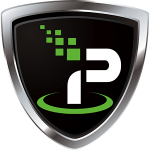 Being a Tier-1 VPN provider, IPVanish is a highly reliable option because they own their network of servers. This means that they have a direct control over crucial aspects of their service such as speed and security. They count with a network of over 135 servers located all over the world. They cover every continent so you can enjoy a high level of flexibility when it comes to changing your IP location and enjoying a good speed, no matter where you are. With IPVanish, you will be able to bypass censorship and firewalls effectively and enjoy a fulfilling internet experience. VyprVPN offers a solid and fast solution for Chinese customers that wish to enjoy complete flexibility while using internet. They count with a powerful technology called Chameleon that can bypass firewalls and ISP block effectively and maintain the security of your data at the same time. Their service will allow you to overcome the great firewall of China and their customer service is professional. Golden Frog’s VyprVPN give you the possibility of protecting your data with 160 and 256-bit encryption as you enjoy unlimited access to your favourite websites. Residents in China who wish to bypass the censorship and be able to access content from any website in the world will enjoy a great speed with ExpressVPN. Its software is recognized for the reliability and continuous good performance that it can offer to customers in China. You can change your IP and location easily to ensure that you get access to all the applications and options available online. ExpressVPN offers OpenVPN protocol, which is not only very secure but also gives you a more solid experience as it is not prone to being blocked by the firewall of China. SwitchVPN offers top protection with OpenVPN, which gives you the possibility of using different ports to bypass firewalls and throttling. They offer an effective, basic solution for anyone that needs to boost the security of their connection with a high level of encryption. 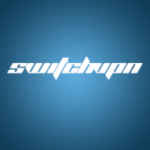 The downside of using SwitchVPN is that there are not advanced features and the options to change your IP address are not as extensive as what you get with other providers. Still, it is a simple and good basic service to avoid internet censorship. BTGuard counts with support from Torrent sites and is a recommended options for downloading files securely while you keep your privacy protected. While their network is limited and you only have the possibility of switching between servers located in Canada, Netherlands and Singapore, their service guarantees anonymity. The speed is an aspect that has to be improved but this could be fixed if they expand their network. By now, they are still offer a good alternative if you are mainly concerned about your privacy.